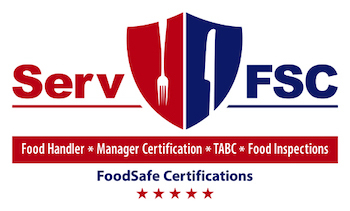 ServA+ Food Safe Inspections, Inc. (SA+FSI) respect your privacy and knows that you care about how your personal information is collected and used through this web site. We may collect personal information during the login process used to access certain portions of our website, the creation of a user profile or to use other functions or features, as noted. SA+FSI may collect and use personally identifiable information including, but not limited to, the following: name, address, phone number, email address, employer, title, user ID and password. For a better experience while using our services we may require you to provide us with certain personally identifiable information, including but not limited to your name, phone number, and postal address. The information that we collect on our website will be used to track and report training records and to contact or identify you. Access to individual training records is limited to the individual employee, employer, or industry association or other organization with whom the individual registered. By using this site and providing personal information, you agree to such disclosure by ServA+ Food Safe Inspections, Inc. (SA+FSI). ServA+ Food Safe Inspections, Inc. (SA+FSI) web site may contain links to other web sites. Please note that these other web sites’ privacy policies may differ SA+FSI’s and we encourage you to carefully read those policies, as well. ServA+ Food Safe Inspections, Inc. is not responsible for the contents of any web site of another party. Why Choose ServA+ Food Safe Inspections, Inc.? The mission at ServA+ Food Safe Inspections, Inc. is to provide consulting and training on all food safety issues to help the retail food service industry serve the safest, highest quality food possible We can handle both large or small projects with personal service and consistent reporting. With our staff of experienced health inspectors, trainers, and consultants we can solve any food safety issue your company has.